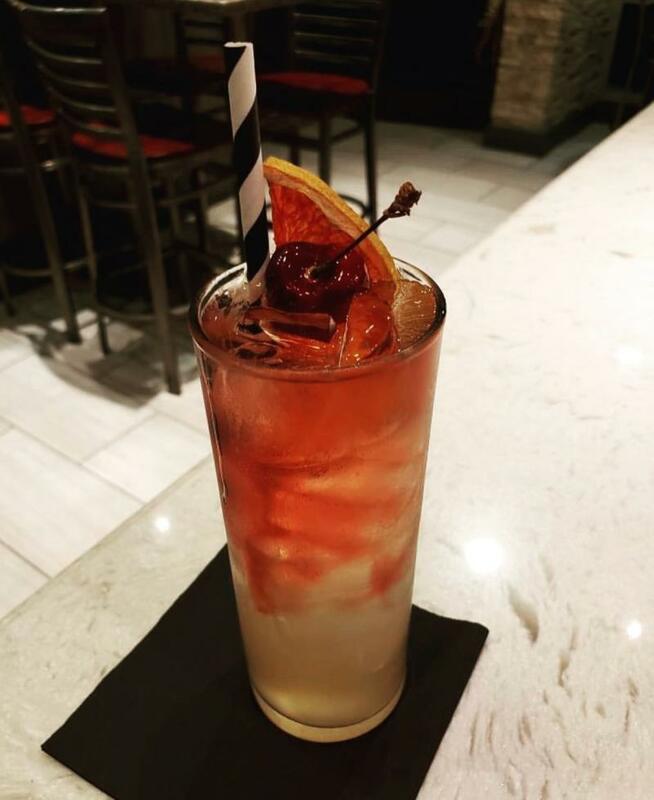 While our beer scene is hopping and our orange crushes are a must-try for every visitor, sometimes you want a cocktail menu with option, just in case you’re feeling adventurous tonight. 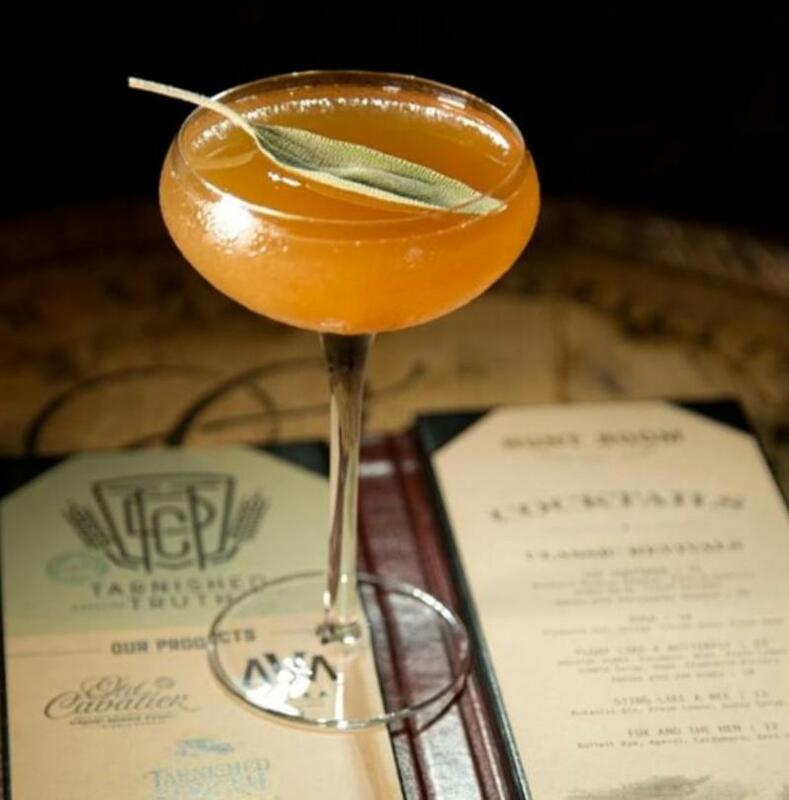 With no shortage of cocktail menus to make your mouth water in Virginia Beach, here are a few of our favorites. For a nice night out at the Oceanfront, head to the Hunt Room at the newly-renovated Cavalier Hotel where you can enjoy your drinks fireside by the historic grand fireplace. Upon renovation, the fireplace was found to have been structurally compromised and had to be restored brick-by-brick, with each brick being placed in its original order and location. Guests who once hunted native fowl, such as ducks, on the original property’s 4,000 acres of land, would bring their bags of game to be prepared by the hotel’s masterful chefs. Today, you can choose from cocktails like their Aperol Spritz, Boulevardier, or one of our personal favorites, the smoked Old Fashioned, made with Old Cavalier whiskey. 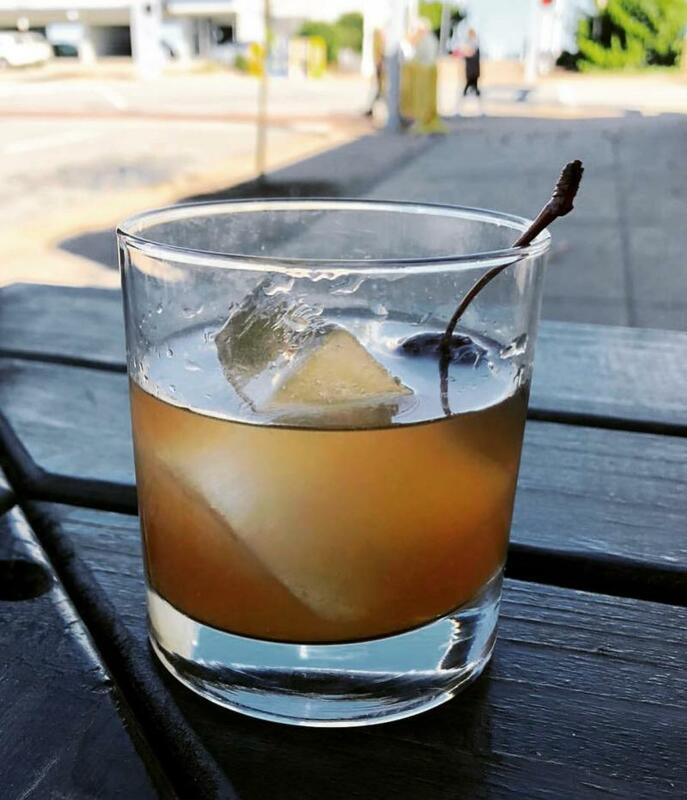 From the owners of the popular Virginia Beach bourbon joint, Whiskey Kitchen, comes Civil Libation, off of General Booth Boulevard. With communal seating, an eclectic American menu featuring locally sourced ingredients whenever possible, house-crafted cocktails and 8 craft beers on tap, this place is a locavore’s delight. You can’t go wrong with any of their stylish cocktails but we can’t get enough of the Carpe Noctum, a local take on a White Russian with Three Ships Cold Brew Coffee with vanilla rum and almond milk. This Italian eatery does traditional Italian food the right way, and they have the cocktail menu to match. With classic italian favorites like Campari, Limoncello, and a selection of martinis, you can’t go wrong here. 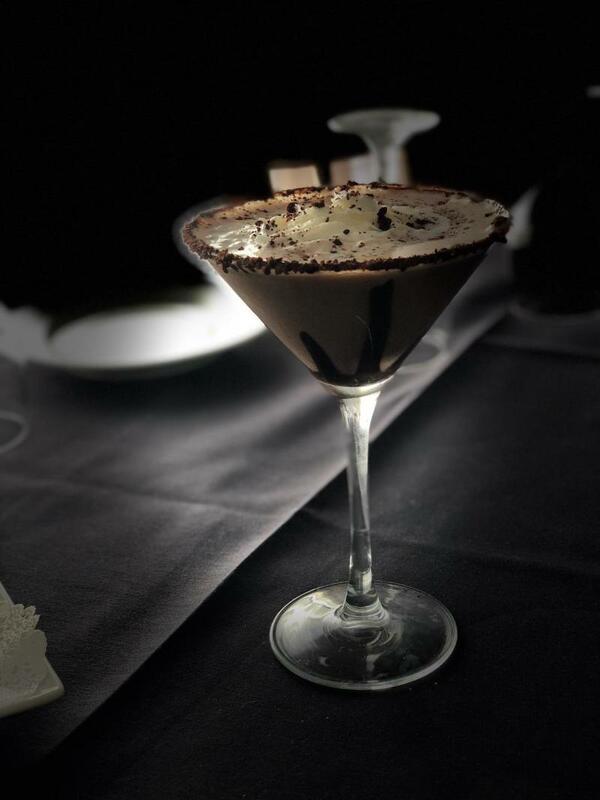 For a sweet take on a classic cocktail try the Tiramisu Martini. With Kahlua, Vodka, Bailey’s, and Tuaca, this is one of our favorite ways to drink your dessert. 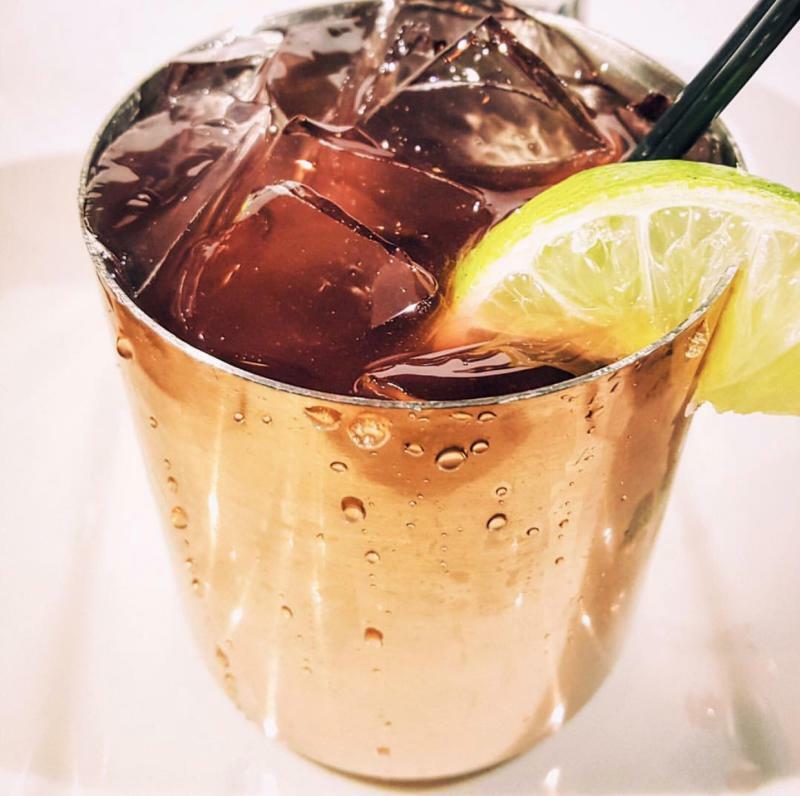 If you’re looking for modern vibes and classic drinks, Twist at Town Center is the bar for you. The menu here is always changing, but with a huge selection of martinis and other classic cocktails always available, this is a great place to stop for a cocktail before a show. A local favorite for many burger and bourbon aficionados alike, this speakeasy-style joint in the oceanfront does not disappoint in either department. Start your visit off with an expertly crafted Old Fashioned, with your choice of whiskey, bitters and garnish, before sinking your teeth into the main course. The whiskey and bitters selections here are unmatched so if you like Old Fashioneds, this is the place for you. 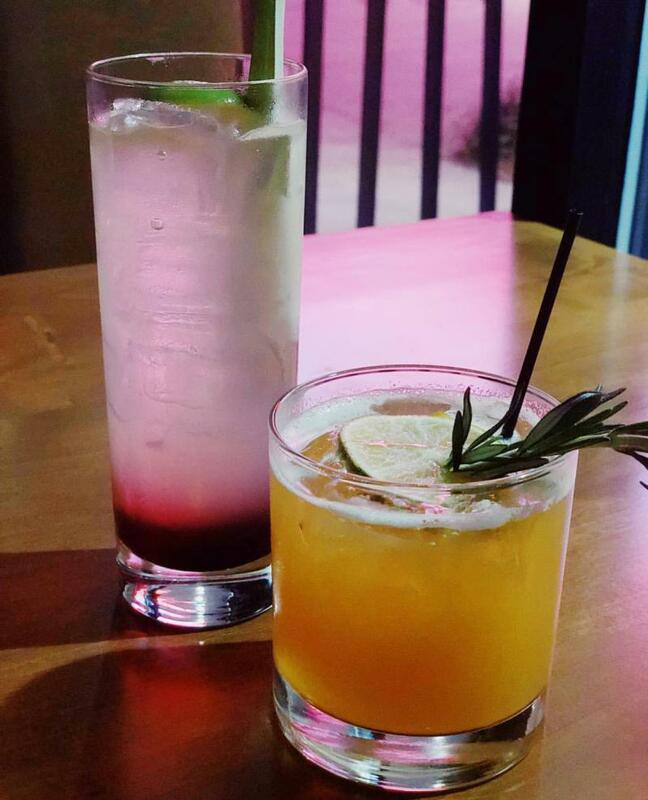 Treat yourself to a cocktail at Hot Tuna, a local favorite with delicious seafood that is matched only by their fun atmosphere. Enjoy discounted cocktails at the outside bar by the warmth of their fire pit tables. While they offer Happy Hour daily, we recommend trying them on Wednesday night for Tapas Night, with Happy Hour pricing extending to 9 pm and select tapas options you won’t want to miss. With a huge selection of favorites like Margaritas, mojitos, and crushes, this cocktail menu will have you feeling the summertime vibes in no time. 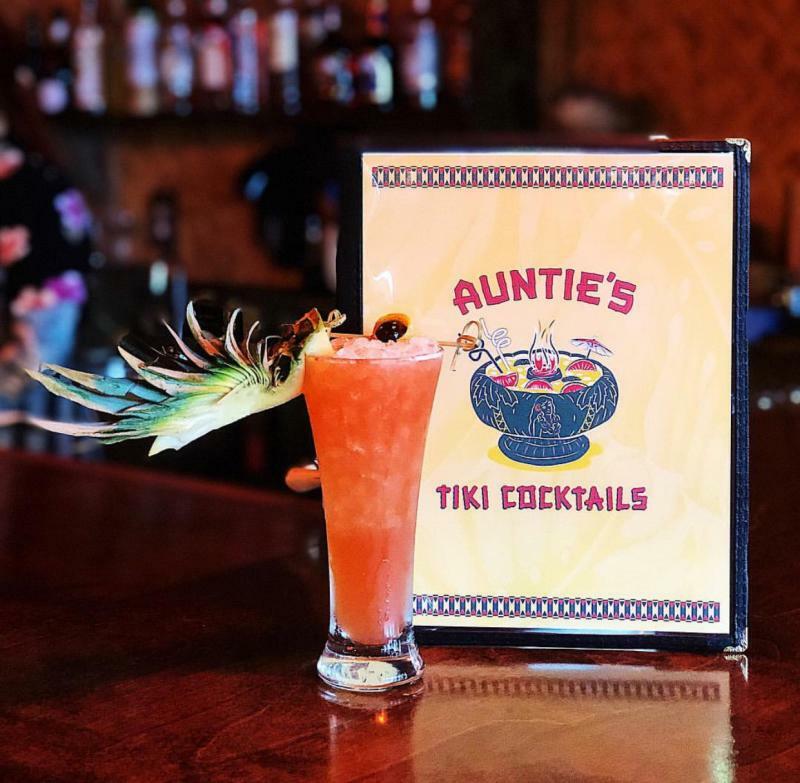 Themed like the traditional tiki bars that were all the rage in the 50s and 60s, Auntie’s Tiki Bar & Restaurant is serving up exotic drinks and Filipino and Hawaiian-inspired cuisine. Start off with one of their amazing craft cocktails like the Cool Running, a frozen blended cocktail with vodka, banana rum, orange liqueur, house-made banana syrup, orange juice and lime, garnished with a dolphin-shaped banana, and of course, an umbrella. And, for the more daring drinker, the Instagram-worthy flaming Scorpion Bowl cocktail is a must-try. With its banana leaf wallpaper adorned walls, it is the perfect escape to end your day the island way.